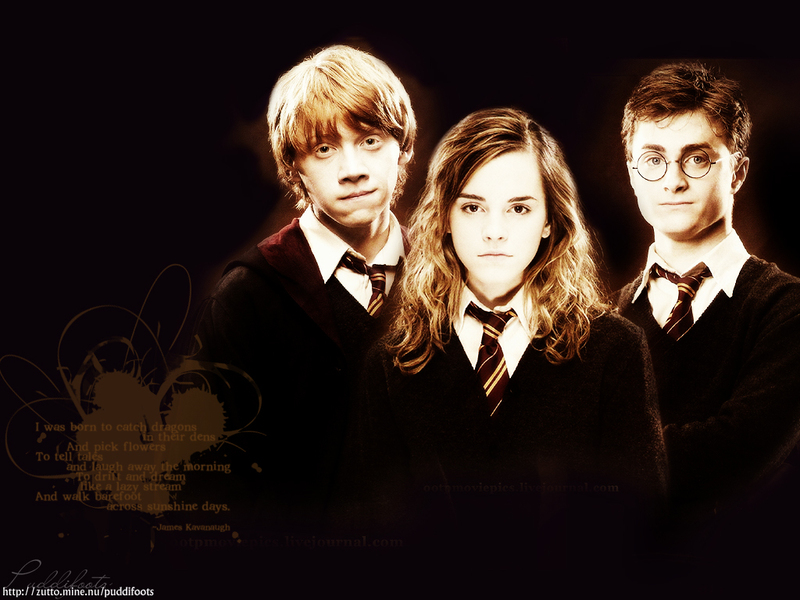 The Trio. . HD Wallpaper and background images in the 해리 포터 club tagged: harry potter hermione harry ron. thanks i really like it! it's now my background picture !